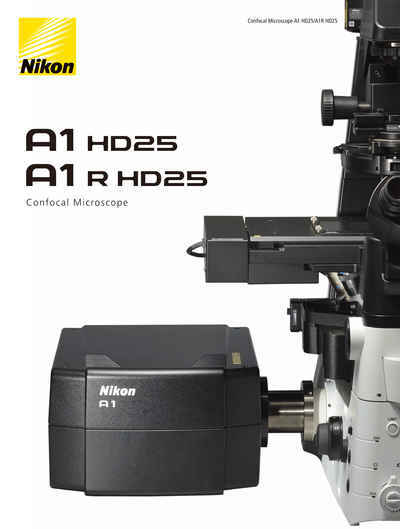 A1 HD25 / A1R HD25 | Confocal Microscopes | Products | Nikon Instruments Inc.
A confocal microscope that captures images with a 25 mm field of view, nearly twice the area of conventional point scanners. Capturing images of large samples such as tissues, organs and live model organisms requires both extending the detectable area of cellular responses and increasing image capture speed. The A1 HD25/A1R HD25 confocal microscope has the largest field of view (25 mm) in its field, enabling users to expand the limits of scientific research. When combined with the Ti2-E inverted microscope, the imaging area of the A1 HD25/A1R HD25 is nearly twice the conventional FOV of 18 mm, enabling the user to obtain significantly more data by capturing more of the specimen in each shot. The large 25 mm FOV of the A1 HD25/A1R HD25 reduces both the required number of images for stitching large images and image acquisition times, enabling efficient, high-throughput imaging of even large-scale samples. The number of required images can be greatly reduced, in particular for large 3D (XYZ) image stitching. The combination of a high-speed resonant scanner and large field of view forms an ideal platform for high-resolution screening assays. It dramatically reduces the time needed to analyze multiple samples and conditions. 1024 x 1024 pixels enables acquisition of high-resolution, high-quality images at lower magnifications, enabling compatibility with a wide range of samples. Comparison of a large FOV image and 6X zoomed image (1024 x 1024 pixels) of fine structures in a 2 mm brain slice of H-line mouse cleared with RapiClear1.52, SunJinLab. High speed imaging capability up to 720 fps, in combination with a large field of view, dramatically increases imaging throughput. This scanning method reduces the exposure time of the sample to excitation light, minimizing phototoxicity and photobleaching. Comparison of photobleaching of fluorescent proteins when images are acquired using both galvano and resonant scanners. 3D time-lapse images of trunk vasculature in zebrafish larva expressing LIFEACT-mCherry (probe for F-actin) in endothelial cells were acquired every 30 minutes over a period of 15 hours using a galvano scanner (average of 2 images) and a resonant scanner (average of 64 images). Note that photobleaching of LIFEACT-mCherry was dramatically suppressed using the resonant scanner. Secretion of Paneth cell granule in response to carbachol was acquired by high-speed 4D live imaging (acquisition of 61 steps of Z-stack images at 1.98 s/volume using Piezo Z-stage and 1K resonant scanner) using enteroids, the three dimensional culture of intestinal epithelial cells. As the innate immune response, the secretion of Paneth cell granules (green) one by one into enteroid lumen is clearly observed with high-definition 3D time-lapse imaging. Time-lapse imaging of angiogenesis in zebrafish embryos expressing LIFEACT-mCherry (probe for F-actin) and MYR-GFP (probe for plasma membrane) in endothelial cells. 3D time-lapse images were acquired every 2.5 minutes for 14 hours starting from 22 hours post-fertilization using a resonant scanner (average of 64 images). Note that rapid formation and retraction of endothelial filopodia during angiogenesis has been clearly captured. 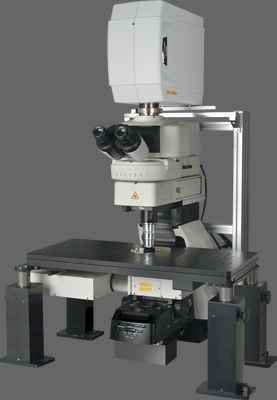 Capture large-scale overview images as well as high magnification images with the same instrument. The 25mm FOV of the A1 HD25/A1R HD25 is effective for observation of large samples, while its 1Kx1K high-definition is ideal for the observation of minute structures. The A1-DUG-2 is a 4-channel detector unit equipped with high-sensitivity GaAsP PMTs, allowing acquisition of bright signals with minimal background noise, even when fluorescence is weak or the detector unit is used with a high-speed resonant scanner. 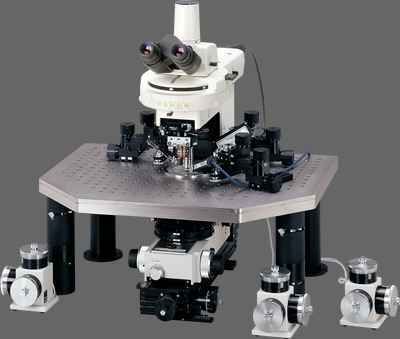 A1-DUVB-2 is equipped with a high-sensitivity GaAsP PMT and allows spectral imaging using both galvano and resonant scanners. This is a fully tunable emission detector unit capable of spectral imaging with user-defined emission bandwidths as low as 10 nm. Variable bandpass mode and continuous bandpass mode are selectable based on the applications and the images can be spectrally unmixed. The option to add a second fixed bandwidth emission channel enables simultaneous multi-channel imaging. The A1-DUS can acquire spectral images at a high wavelength resolution of at least 2.5 nm. 32 channels of fluorescence spectra (up to a 320 nm wavelength range) can be acquired with a single scan, enabling fast imaging at up to 24 fps (512 x 32 pixels). Simultaneous excitation with up to four lasers enables spectral imaging across wider bands. It precisely unmixes closely overlapping spectra of fluorescent labels and eliminates autofluorescence. Real-time unmixing during image acquisition is highly effective for FRET analysis. 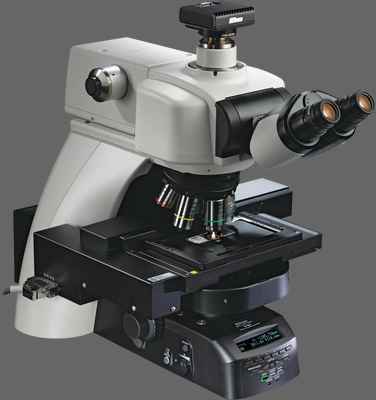 The unique V-filtering function, with its capacity for filter-less intensity adjustment, allows arbitrary spectral ranges to be selected from 32 channels and combined to perform the filtering function of up to four filters, enabling imaging with the optimal intensity of each fluorescence probe. 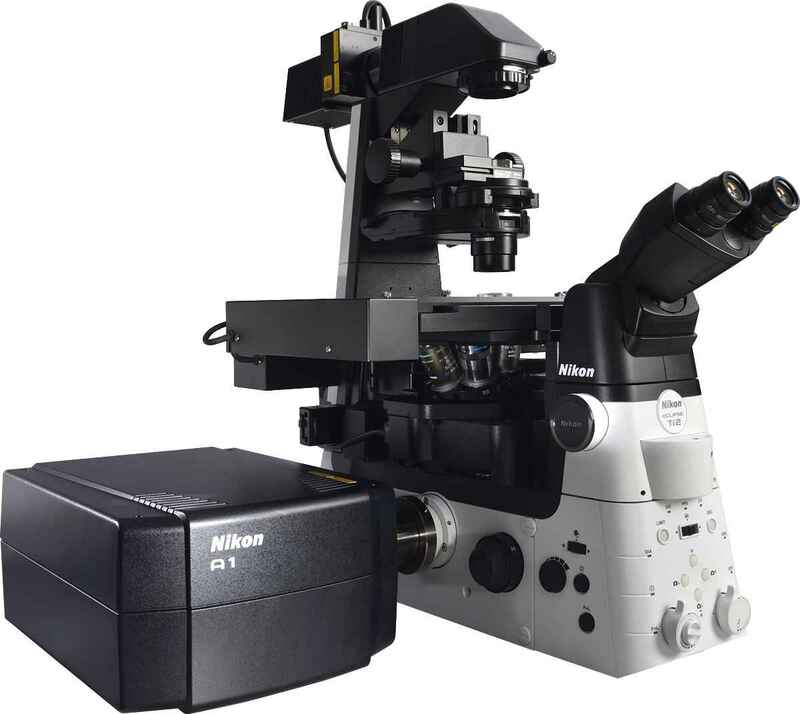 Nikon provides a broad range of high-NA objectives with unrivaled optical quality to redefine the boundaries of confocal imaging. Options include silicone oil immersion objectives for thick live cell imaging, large-FOV low-magnification objectives and easy-to-use dry objectives. Chromatic aberrations are corrected from ultraviolet to near infrared range, enabling excellent multicolor imaging. 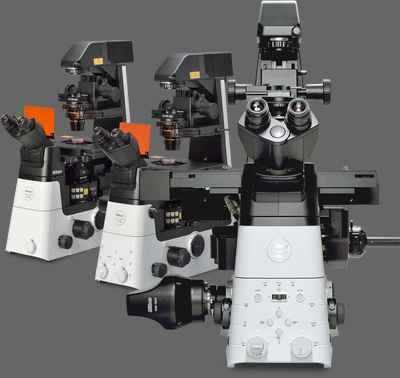 A new photostimulation module, featuring point scanning for stimulation of user-defined regions of interest, is available for the Ti2-LAPP modular illumination system and enables the A1 HD25/A1R HD25 to acquire confocal images while simultaneously stimulating the desired area of a sample. A DMD module simultaneously stimulates multiple regions of interest of any user-defined shape. 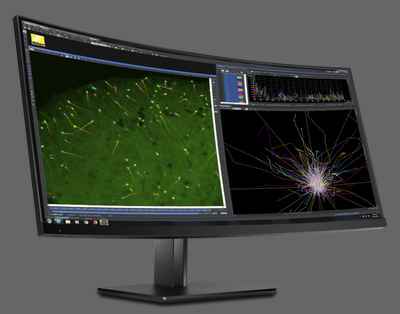 NIS-Elements C, Nikon's unified software platform, provides an intuitive workflow for confocal imaging. With graphical programming tools for automating acquisition and analysis, the comprehensive operational environment can be fully customized for any level of application needs. Higher resolution images can be generated with a single click. The software assesses the captured image and automatically determines processing parameters to achieve increased resolution. The unique image processing technology increases image resolution beyond that of a conventional confocal image (resolution can be improved 1.5 times (XY), 1.7 times (Z)). Image courtesy of: Drs. Yutaro Kashiwagi and Shigeo Okabe, Department of Cellular Neurobiology, Graduate School of Medicine and Faculty of Medicine, The University of Tokyo. With fully-automated acquisition and analysis of a large number of high-content, multidimensional images following an easy stepwise workflow, HCA offers quick experimental setups and an immediate view of measurement data, well by well, during acquisition, and via a heat map for trend observation and further analysis. Enables the easy creation of more complex and customized experimental templates, from image acquisition to analysis, without the need for advanced data programming knowledge. JOBS automatically conducts observation processes such as image acquisition, image and data analysis and result display. It improves efficiency and reduces the time needed for acquisition, analysis and mining of data. This is a toolbox of powerful segmentation functions that allows users to create custom analysis routines focused on obtaining statistical data from microscope images. Users can make easy to follow interfaces for image analysis, and interactively (or fully automatically) analyze images and output custom results.